Advertising law in Ireland is regulated by both public and private law. The laws governing advertising and sales promotions are derived from public legislation and judge-made case law. Much of the legislation is influenced by the requirement to implement European Union directives as part of Ireland’s membership of the EU. the Consumer Protection Act 2007 (Grocery Goods Undertakings) Regulations 2016 (the Grocery Regulations). The chief body for the regulation of advertising is the ASAI. It is the advertising industry’s self-regulatory body. The ASAI publishes a Code of Standards for Advertising and Marketing Communications (the ASAI Code). The ASAI Code is voluntary and has limited statutory basis, but the vast majority of advertisers and media in Ireland are members of the ASAI and are therefore obliged to abide by the ASAI Code. A seventh edition of the ASAI Code came into force on 1 March 2016. Complaints are directed to the ASAI by members of the public or rival companies, and in the event of an advertisement or promotion being found in breach of the ASAI Code, the advertiser or promoter may be asked to withdraw, alter or amend it. The ASAI is a founder member of the European Advertising Standards Alliance, an umbrella group for similar regulatory bodies across the EU that operate a cross-border compliance system. The Consumer Protection Act 2007 established the National Consumer Agency. The Competition and Consumer Protection Act 2014 established the Competition and Consumer Protection Commission (CCPC) and dissolved the National Consumer Agency and also the Competition Authority. The CCPC now assumes the roles of the two dissolved agencies. It can process complaints under the 2007 and 2014 Acts and also under the Grocery Regulations. There are also separate regulatory bodies for specific types of advertising. The Broadcasting Authority of Ireland (BAI) publishes its own code of practice on broadcast advertising on Irish terrestrial TV and radio channels (the BAI Code). Complaints about broadcast advertising can be addressed to the BAI through their complaints procedure. The Communications Regulator (ComReg) deals with advertising involving premium-rate telephone numbers or SMS short codes. Generally, the ASAI is seen as the primary advertising regulator and processes most complaints regarding advertisements. However, its Code does state that it is subordinate to the law and does not prejudice consumers’ or advertisers’ statutory rights. Therefore, it is possible to bring a complaint to the ASAI without prejudicing any other right one may have to complain by law. The Consumer Protection Act 2007 allows a judge hearing a case brought under the Act to have regard to the self-regulatory codes that are in place. Generally, though, complaints are addressed to the ASAI, given that it offers a cheaper and faster alternative to High Court proceedings to both consumers and rival brand owners, and jurisdictional clashes are uncommon. The Consumer Protection Act 2007 provides for a range of penalties for the various offences set out under the Act. The maximum fine for a first offence is €3,000 for summary convictions and €60,000 for convictions on indictment. There are higher fines for repeat offenders. It is also worth noting that any such fine would constitute a criminal conviction that can have far-reaching consequences. The CCPC can also seek injunctions, serve compliance notices and issue fixed penalties against non-compliant traders or advertisers. The ASAI Code allows for orders for withdrawal or amendment of the offending advertisement, orders stipulating that a repeat offender must clear all advertising copy in advance of publication and, in extreme cases, fines for their members. The issue of digital and social media advertising has been a primary concern in recent years. In the past year, the ASAI has highlighted social media influencers as an area of concern. In 2013, the ASAI extended its Code to specifically include social media and user-generated content. CopyClear, a compulsory clearance body for alcohol advertising (formerly known as Central Copy Clearance Ireland), extended its remit to social media in 2014 and published guidelines on the issue. The advertising and marketing of gambling-related services and e-cigarettes have been brought under the remit of the ASAI Code with the new seventh edition. The other major concern relates to alcohol advertising, which has been the subject of some debate between the industry, regulators and the government. In December 2015, the government published the Public Health (Alcohol) Bill 2015 (a document in preparation for introducing legislation), which will affect the advertising, marketing and sponsorship of alcohol in Ireland; this is yet to be enacted. for ‘shrinkage’ losses, which occur as a result of theft or accounting errors. Here, criminal sanctions will apply to offenders. These restrictions are imposed in the interests of avoiding unfair commercial practices because of dominance in the market and so as to restrict market access and position by unfair practices. The Grocery Regulations are reminiscent of similar regulations that have been in operation to steer the market and market practices since the 1950s, when the Restrictive Practices legislation was in place before the free competition laws were introduced after Ireland became an EU member in 1973. The above is a non-exhaustive list as there is a wide variety of industries, many of which publish their own guidelines. Generally, as these are voluntary codes, the consequences for non-compliance tend to be an order to amend or withdraw the advertisement or an order affecting future advertisements. There is no specific ‘licence’ required to operate as an advertiser in Ireland; however, as set out in question 2, it is highly recommended that advertisers sign up to the terms of the ASAI Code. There are very few advertisers who do not do so. Additional licences may be necessary in specific circumstances. Certain types of sales promotions and associated advertising involving a charity may require a lottery licence under the Gaming and Lotteries Acts 1956-1986. This is obtained by applying to the local district court. ComReg may require advertisers using premium rate numbers (to phone or SMS) to register with it and obtain a licence. Yes, advertisers have an option to seek copy advice from the ASAI in advance of any campaign. It is non-binding and non-definitive advice but is offered to advertisers, agencies, media and promoters. The national broadcaster, RTÉ, also offers an advice service on proposed advertisements on its TV and radio channels. In practice, advertisers and agencies seek legal advice for campaigns of concern to them. There is an obligation to obtain pre-clearance for alcohol advertisements through CopyClear. CopyClear is an independent body established by the alcoholic drinks industry and the advertisers associations to ensure that the advertising of alcoholic brands complies with the various codes of practice. compliance notices to traders who provided false information or who charged more for goods than the price displayed. The Consumer Protection Act of 2007 enables anyone to take enforcement proceedings before the courts and this includes competitors as well as aggrieved consumers. The ASAI Code also permits competitors to make an intra-industry complaint that will be considered by the ASAI Complaints Committee in the same manner as a consumer complaint, provided the interests of consumers are involved. The advantage of the ASAI complaints process is that it is a low-cost and low-risk method of objecting to a competitor’s advertisement. The disadvantage is that, although there is a fast-track procedure, such procedures are only used in extreme circumstances and the general complaints process can take some weeks, by which time the offending competitor’s advertisement may well have run consistently. The advantage of using the courts is that it may be possible to seek immediate injunctive relief to prevent further publication of the offending advertisement. The disadvantage is that the costs for seeking a High Court injunction are high and there is a risk that if the claim is unsuccessful, the challenging business may well be ordered to pay their competitor’s legal costs as well as their own. The Consumer Protection Act 2007 is the chief legislation used to allow consumers (or the CCPC on their behalf) to challenge advertising in the courts. As the courts are open to any member of the public to instigate proceedings, it is not necessary to have any specific standing. It would be advisable for anyone commencing court proceedings to be able to identify breaches of specific legislation as grounds for their case; however, it is not a legal requirement. It is far more common, however, for consumers to address their complaints to the ASAI (again on the basis of it being a free complaints service). Additionally, the BAI offers a complaints service in relation to broadcast advertising. For complaints under any of the codes, the grounds would generally be breaches of specific sections of the ASAI Code. In legal proceedings taken under the Consumer Protection Act 2007 or the European Communities (Misleading and Comparative Marketing Communications) Regulations 2007, the burden of proof falls on the advertiser to prove that any representations made in their advertisements are true. In the case of an intra-industry complaint to the ASAI, the complaining competitor may be required to substantiate its complaint (eg, if you complain that the advertisement is providing incorrect information then you need to be able to prove that). There is no ‘burden of proof’ as such for consumer complaints. Consumers are free to complain and the advertiser will simply be asked to respond. If it is a substantiation issue, then the advertiser may be asked to provide proof. The courts have a wide range of remedies open to them, depending on the legislation under which the proceedings are brought. Intellectual property proceedings will frequently allow for injunctions, damages, accounts of profits and orders to inspect and to seize goods. The Consumer Protection Act 2007 allows for prohibition orders against traders or advertisers, damages for consumers who successfully sue under the Act and, significantly, also allows for criminal proceedings and fines against offending traders or advertisers. The ASAI Code allows for publication of its complaints bulletins (effectively ‘naming and shaming’) and for withdrawal or amendments of advertisements in breach of the ASAI Code. The ASAI can also stipulate that future advertisements by that advertiser are to be cleared in advance by them for a fixed period of time. The BAI has similar powers with its Code. There is no definitive answer to this. A fully disputed High Court case between two competitors arising out of misleading advertising could take two to three years to reach a conclusion from the date of the first letter of complaint. In certain circumstances, an injunction might be sought in a very short time frame of a few days; however, that is only a temporary measure until the full trial of the case. Complaints to the regulatory bodies are generally resolved faster. The ASAI process allows advertisers time to respond to complaints so it can take up to six months from start to finish unless there is sufficient reason to fast-track it. There is no definitive answer for how much court proceedings normally cost. Costs are a matter of contract between client and lawyer. It would depend on the duration, complexity and urgency of the proceedings from the initial claim being raised to the case being fully resolved and how much of the claim is disputed, whether a full court hearing was necessary, over how many days the case was heard and whether any discovery of documents was required. The Consumer Protection Act 2007 facilitates the institution of proceedings in the Circuit Court, which is a cheaper alternative to the higher costs and risk of taking proceedings in the High Court. Orders for costs are at the discretion of the judge or will be dealt with as part of any settlement of the court proceeding. As a general rule, the unsuccessful party will be ordered to pay the costs and legal fees of the successful party. Such orders do not provide a blanket indemnity as typically there are some costs and legal fees incurred that would not be recoverable under such court orders. Orders for security for costs can be made but are relatively infrequent as there is a high proof bar. Decisions of the Circuit Court can be appealed to the High Court. High Court decisions can be appealed in limited circumstances to the Supreme Court. A new Court of Appeal was established in 2014 following a recent referendum and amendment to the Constitution of Ireland (1937). Regulatory bodies such as the ASAI do not have an appeals process. The ASAI Code does allow for review of the decision by the Complaints Committee in exceptional circumstances. The ASAI Code specifically states that advertising promotions need to be designed in such a way that they can be clearly differentiated from normal, non-advertising editorial content. Such ‘advertorials’ must also comply with all of the other provisions in the ASAI Code. The Consumer Protection Act 2007 can also have an affect on advertising in the form of editorial content. Section 44(1)(b) of the Act states that a marketing communication can be misleading if it could cause the average consumer to ‘make a transactional decision that the average consumer would not otherwise make’. An advertisement disguised as editorial content could easily fall within that description if the consumer does not understand that it is ‘paid for’ content and enters a transaction accordingly. Section 55(q) of the Act prohibits editorial content from being used without disclosing that it is a paid promotion. There is nothing in law specifically distinguishing between ‘puffery’ and advertising claims that require support. The ASAI Code states that substantiation should be available for all claims, although it does state that ‘obvious untruths or deliberate hyperbole’ are permissible provided they do not alter any material facts. There are advertisements run without complaint in Ireland that contain obvious puffery, but, in theory, any claim made in an advertisement should be capable of substantiation. Under section 42 of the Consumer Protection Act 2007 there is a general prohibition on misleading advertising. Sections 43 to 46 of the Act set out in detail the circumstances in which a marketing communication can be construed as misleading. Material information (seen as anything that may influence the decision of the consumer) must be disclosed. Footnotes and disclaimers are permissible provided they are clearly visible. The ASAI and BAI Codes also contain specific rules on misleading advertising. Specific industries will also have rules on the type of information that must be disclosed or the detail of any footnotes or disclaimers (eg, the ComReg provides certain guidelines for the size of small print on advertisements using premium rate numbers). This depends on the nature of the claim. As set out in question 16, any claim made in advertising should, in theory, be capable of substantiation. The ASAI Code states that ‘advertisers should satisfy themselves that they will be able to provide documentary evidence to substantiate all claims, whether direct or indirect, expressed or implied, that are capable of objective assessment’. The standard of proof is generally independent, documentary evidence. Additionally, section 55 of the Consumer Protection Act 2007 provides a list of some 25 prohibited commercial practices that traders (and, by extension, advertisers) simply cannot engage in. As noted in question 17, there is also a general prohibition on misleading advertising. It is likely that a claim made that is not capable of substantiation will breach the provisions in the Act with consequences of possible fines, criminal convictions and, in extreme cases, imprisonment. There are no specific requirements other than general prohibitions (both by law and in the self-regulatory codes) on misleading advertising. Comparative advertising is permissible and is governed by law by the European Communities (Misleading and Comparative Marketing Communications) Regulations 2007. The legislation permits comparative advertising provided it is not misleading or confusing. The advertisement must be fair and compare ‘like for like’ as regards products and services. It is permissible to identify a competitor by name (or by its trademark) provided the advertisement or marketing communication does not simply take advantage of that trademark or denigrate or discredit the competitor. The Consumer Protection Act 2007 also includes some protection in that it places a prohibition on advertisements that simply seek to cause confusion between the product being advertised and a competitor product. Comparisons are also permissible under the ASAI Code, subject to compliance with its requirements. Again, this is simply a case of substantiation. There is no specific requirement for a higher degree of proof, but the claim does need to be capable of independent verification. The BAI Code does contain specific rules on teleshopping and interactive advertising that could be applied to advertisements demonstrating product performance. Essentially, this Code states that such segments must operate on a policy of separation whereby they are clearly distinguished from programme content. All of the provisions in the Consumer Protection Act 2007 relating to misleading advertising and prohibited commercial practices can be applied to advertisements demonstrating product performance without the need for any specific reference to such forms of advertising in the Act. The Consumer Protection Act 2007 prohibits claims of endorsements by traders and advertisers in circumstances where they are not accurate. In particular, claims of adherence to certain codes of practice or quality marks can be advertised, but only provided those claims are accurate. The making of such claims in circumstances where they cannot be substantiated would be a prohibited commercial practice and a breach of the legislation, which could lead to criminal prosecution, fines and even imprisonment. The ASAI Code also has a specific section regulating the use of testimonials and endorsements. Advertisers need to have documentary proof, the said proof has to be signed and dated, and available on request, and advertisers must only use individuals with their express permission. Endorsements must also be current. If the person making the endorsement is being paid for that endorsement, that message should be clear. Section 43(1)(3) of the Consumer Protection Act 2007 warns that information regarding warranties or aftersales service will be misleading if it is advertised and induces a consumer to make a transactional decision that he or she would not otherwise make. The ASAI Code states that if an advertisement refers to a guarantee, then that guarantee must be available for consumers to inspect before they commit to the purchase, and any conditions in the guarantee or warranty (such as time limitations) must be clearly advertised. Additionally, the use of such guarantees cannot be used to limit the statutory rights of the consumer under the Consumer Protection Act 2007 or the Sale of Goods and Supply of Services Act 1980. The ASAI Code contains a specific ‘environmental section’ that details the rules for claims concerning a product and the environment. Essentially, unqualified claims can only be used if there is a high level of documentary evidence in support of those claims. The basis of any claim must be explained and the claim qualified if necessary. Such claims are frequently contested as intra-industry complaints. In 2009, Bord Gáis (a natural gas company) challenged a rival company, Airtricity, through the ASAI complaints process on the content of its advertising relating to the environment. The complaint was upheld and Airtricity agreed to change its advertising content. Yes, the Consumer Protection Act 2007 again refers to such claims in its list of prohibited commercial practices. Section 43 of the Act states that providing information on previous prices (which may give an impression of higher reductions to the current price) can be misleading and a breach of the Act. The Act further states that any court or body deciding on such price claims can look at whether the product or service was actually offered at that higher price in good faith and for a reasonable period of time. Section 51 of the Act prohibits the use of the word ‘free’ unless the consumer must only pay the cost of responding to the promotion and reasonable delivery charges. The ASAI Code also contains similar provisions regulating the use of ‘free’ claims. ComReg have regulations concerning the use of premium rate numbers in collecting such ‘free’ gifts. Again, this would be covered under the misleading commercial practices provisions of the Consumer Protection Act 2007. There are no specific provisions regarding such claims. Similarly, the ASAI Code and the BAI Code do not contain specific provisions but such claims are covered under their more general provisions that claims must be legal, honest, decent and truthful. There is a blanket ban on tobacco advertising in all media, as detailed in question 35. Alcohol may not be advertised unless cleared, as detailed in question 34. There are also prohibitions on the advertising of certain pharmaceutical products, such as prescription medication, under the Medicinal Products (Control of Advertising) Regulations 2007. There are certain prohibitions placed on the advertisement of ‘junk food’, as defined in the BAI Code, for broadcast advertising during certain hours of the day (see question 30). There is also a prohibition on the advertisement of infant formula under the European Communities (Infant Formula and Follow-on Formula) Regulations 2007. Under the Broadcasting Act 2009, there is a prohibition on broadcast advertisements for political purposes or dealing with industrial relations disputes and the merits of joining certain religious organisations. The Grocery Regulations 2016 introduce mandatory rules concerning arrangements between wholesalers, retailers and suppliers who seek to curb unfair competition and anticompetitive practices. This includes arrangements concerning payments for prominent shelf positioning in shops and outlets, for advertising and display of the supplier’s grocery goods in the retailer’s premises and a requirement that, since 30 April 2016, all such arrangements are to be in writing and signed by all parties and are to be in clear and intelligible language. As described in question 18, section 55 of the Consumer Protection Act 2007 lists a series of prohibited commercial practices, some of which are based on particular methods of advertising. These are derived from the EU Unfair Commercial Practices Directive (2005/29/EC). The BAI Code contains specific prohibitions on certain advertising methods in broadcast advertising. This includes prohibitions on product placement, except in limited permissible circumstances as set out in the ASAI Code. Surreptitious and subliminal advertising communications are completely prohibited by the ASAI Code. There are also restrictions and prohibitions placed on the use of marketing emails (or other forms of communication) under the e-Privacy Regulations 2011 and the Data Protection Acts 1988 and 2003. Finally, the ASAI Code contains a series of general prohibitions that can be applied to advertising material (eg, any advert that condones or encourages dangerous behaviour or unsafe practices is prohibited). Under Irish law, minors are defined as anyone under the age of 18. Both the courts and the regulatory bodies will have special regard to the susceptibility of consumers of a younger age to the suggestions of advertisements. The Consumer Protection Act 2007 specifically prohibits any form of advertisement that exhorts children to purchase a product or encourages their parents to purchase the product for them. The ASAI Code contains a specific section on advertising to children. It includes subsections relating to the advertising of food to children and prize promotions for children. In particular, it places restrictions on the use of children in advertising (eg, children cannot be positioned near an open fire without a fireguard in an advertisement). There are further restrictions similar to the Consumer Protection Act 2007 concerning advertisements that might encourage children to plead with a parent to buy a product and advertisements that use words such as ‘only’ or ‘just’ in relation to the price. Finally, the BAI has a specific and quite detailed Communications Code on broadcast advertising to children. It breaks down certain restrictions under the ASAI Code into age categories, taking into account that a 17-year-old may have a better grasp of advertising than a six-year-old. There are general restrictions regarding misleading advertising and a higher standard will be placed on advertisers where children are involved. There are restrictions on the duration and type of advertising during certain times of the day when minors are likely to watch children’s programming. The use of programme characters and celebrities or sports stars in advertising is restricted. In recent years, a focus has been placed on the advertising of ‘high in fat, salt and sugar foods’ and there are restrictions and requirements in place for the advertising of these. The rules governing the requirements for advertising credit or financial products are contained in the Central Bank of Ireland Consumer Protection Code 2012 and the ASAI Code. The Central Bank of Ireland is the governing body for financial institutions in Ireland. Regulated entities (as defined in the Consumer Protection Code) must ensure that their advertisements are clear, fair, accurate and not misleading. A regulatory disclosure statement must be included in all advertisements. Key information must be prominent and in the main body of the advertisement and it must not be disguised by the design, content or format of the advertisement. Warning statements (eg, detailing the risks if repayments are not made) must be included with the benefits of the advertised products or services. Most of the rules in place will apply equally to the therapeutic products and the health and nutrition products detailed below. The Medicinal Products (Control of Advertising) Regulations 2007 contain specific rules on the advertising of certain medications and health products that can fall under the definition of ‘therapeutic goods and services’. The Consumer Protection Act 2007 does not specifically make any provision for therapeutic products or services but its general rules can be equally applied. The Irish Pharmaceutical Healthcare Association also publishes a Code of Marketing Practice for the Pharmaceutical Industry and a separate Code of Standards of Advertising Practice for the Consumer Healthcare Industry. These were most recently revised in January 2015. Both the ASAI Code and the BAI Code contain specific rules for the advertisement of health and beauty products. The ASAI Code provisions break down restrictions between specific types of therapeutic products such as hair loss products, alternative medicines and vitamin replacements. Depending on the product in question (particularly in relation to weight loss), any claims may fall within the Medicinal Products (Control of Advertising) Regulations 2007 and will need to comply with the restrictions as set out in the Regulations. The ASAI Code contains specific rules governing advertisements for foodstuffs regarding health, nutrition and weight control. It includes restrictions on advertising for ‘crash diets’ or the encouragement of consumers to feel that being ‘underweight’ is in fact normal. Substantiation will be expected for any claims made. The BAI Code also contains specific rules on both the medicinal side of such foodstuffs and the more general area of food advertising. There is no specific legislation for the advertisement of alcoholic beverages in Ireland. The Public Health (Alcohol) Bill 2015 was published in December 2015, but is still awaiting enactment. The Bill includes provisions on the advertising and marketing of alcohol, and sponsorship involving alcohol brands. At present, alcohol advertising is covered by codes of practice between the various members of the alcoholic drinks industry and the Irish government and various health bodies - the Alcohol Marketing, Communications and Sponsorship Code of Practice and the MEAS Code of Practice, which deals with messaging guidelines. For example, all advertising for alcoholic beverages must contain the tagline ‘enjoy “brand name” responsibly’ and must direct consumers to a responsible drinking website. Additionally, both the BAI Code and the ASAI Code have specific sections regarding alcohol advertising. The content of all of the codes is too detailed to list here but compliance is ensured by CopyClear (see question 4). Essentially, all advertisements for alcoholic drinks (whether broadcast, print, online or other social media) must be pre-vetted and cleared by CopyClear. Once a proposed advertisement has been cleared, it will be given a specific code, and media outlets will not run the advertisement unless they are first provided with that code proving the advertisement has been cleared. The Grocery Regulations 2016 prohibit any premium payment for more prominent shelf positioning in a retailer or wholesaler’s premises or for advertising and promotion costs in connection with the marketing, advertising, sale and promotion of alcoholic beverages. There is a blanket ban on advertising tobacco products in Ireland pursuant to the Public Heath (Tobacco) Act 2002 and the Public Health (Tobacco) (Amendment) Act 2004.
imply that it is a rite of passage. Lotteries are governed by the Gaming and Lotteries Acts 1956-1986. There are severe restrictions on the circumstances in which a lottery can be legally operated (without even looking at the advertising of the said lottery). Only specific types of lottery as set out by the legislation can be operated. From the point of view of advertising or sales promotions, the type of lottery generally used will require a licence from the local district court issued under section 28 of the Acts. The advertising of a lottery is prohibited unless it is one of the specific types of lottery permitted under the Acts, and holds the appropriate licence or permissions. Often one of the difficulties faced by promoters and advertisers is that promotional contests fall within the definition of a lottery contained in section 2 of the Gaming and Lotteries Acts 1956-1986. In such circumstances, a licence as detailed above is normally required. An alternative is to ensure that entry is free for all participants or that the contest involves an element of skill (thereby removing the element of chance involved in a lottery). Provided the promotional contest does not fall within the definition of a lottery, the requirements for advertising it will fall within all of the legislation and regulations detailed above. It will be required to comply with the codes of practice and legislation. The BAI Code includes restrictions on sponsorship and product placement, except in limited circumstances. Both are permissible provided they comply with the provisions and circumstances set out in the ASAI Code. For sponsorship, the sponsor must be clearly identified with its name and logo and it must be a sponsor that would be entitled to advertise anyway (eg, it is not possible to use sponsorship to circumvent advertising restrictions). Certain types of programming may not be sponsored. Product placement was not permissible until relatively recently. It is now permissible, provided that the placement complies with the restrictions as set out in the ASAI Code (eg, the programming cannot be affected by the product placement). Paid product placement is not permitted in children’s advertising. For alcoholic drinks, as detailed above, there are specific rules governing sponsorship. Sponsorship of sports broadcasts is not permitted and there are restrictions on the types of events that can be sponsored. The restrictions on sponsorship will be tightened further when the Public Health (Alcohol) Bill 2015 is enacted. Ireland is traditionally seen as a conservative, Catholic country and the regulators generally take that into account. The ASAI, when dealing with complaints generally, considers whether the advertisement is likely to cause offence. One of the issues that arises is whether offence would be caused to the general population because of religious issues. That problem may not often be apparent to an international advertiser seeking to run a campaign in Ireland that has previously run without complaint in other Western countries. There is no specific legislation in place for social media advertising. However, the ASAI Code applies equally to social media, so all of the rules detailed above apply equally to social media advertising. In relation to alcohol advertising, the CopyClear remit extends to social media, so a social media campaign by an alcoholic drinks company would need to be cleared in advance by CopyClear. The general guideline is that advertisers should treat any advertisement on digital or social media as they would treat an advertisement intended for broadcast on more traditional media. Since extending the remit of its Code to social media, the ASAI has considered complaints specifically relating to advertisements on social media. A 2014 decision involved a Facebook page for the alcoholic drink West Coast Cooler that featured a bottle of West Coast Cooler positioned in sand on a beach with the taglines ‘Girls Shine On’ and ‘Taste of Summer’. A complaint was made that the advertisement of an alcoholic drink at a beach or seaside location was a breach of the ASAI Code. The complaint was upheld, although the ASAI accepted that the advertiser had taken extensive steps to correct the error by admitting a mistake had been made by its third-party agency, removing the post immediately on receipt of the complaint and reviewing procedures and training to ensure compliance with the ASAI Code. There are no specific regulations; however, the Data Protection Acts 1988 and 2003 and the Defamation Act 2009 have all been used in the courts for cases involving privacy and social media. The Defamation Act 2009 presents a risk for advertisers on social media who permit user-generated content, as it can leave them open to claims of publishing defamatory content by a third party. The ASAI issued two statements in 2017 as guidance on the issue of social media influencers and paid advertising within their postings. The ASAI reminded advertisers that if they are paying an influencer to promote their product, they remain responsible for the content of the influencer’s posts. Additionally, all posts must contain suitable advertising disclosures (such as ‘#Ad’ or ‘#Spon’) even if the posts form part of a story. Separately, in 2018, the ASAI has issued a statement on political broadcasts and advertising. It has reminded all interested parties that its remit is commercial marketing communications only. As such, advertisements for political purposes such as referendums, elections, etc, do not fall within its remit. Duncan Grehan & Partners is a full service small and experienced commercial law firm established in 1984. 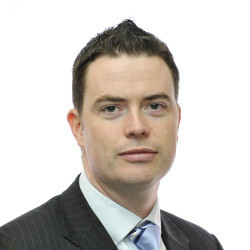 Duncan and his advertising law team provide advice on transactional and contentious aspects of all legal and regulatory issues concerning advertising and marketing, sales promotions, lotteries and competitions, product labelling requirements, distance sales, comparative advertising and media law issues.